With Summer having official started as of the beginning of June – cue the Sun disappearing and the rain so missing in the Spring returning with avengeance – Mrs.SF and I packed up the car and ambled (I am middle aged and drive a volvo so never race anywhere any more – had an awesome 2.5 litre Alfa Romeo in my youth which went like sh#t off a shovel and amazingly for an Alfa was the most reliable car I have ever owned, now just a distant cherished memory though) down to Porthleven, our favourite spot in Cornwall, for a week. 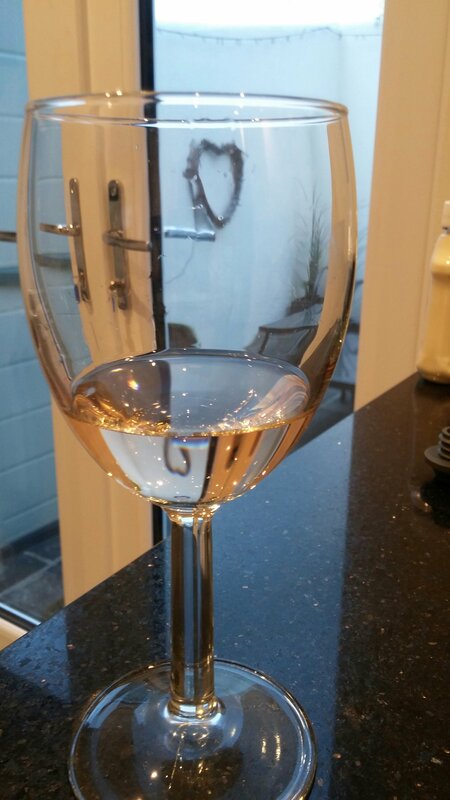 When the Sun deigns to make a reappearance a rosé will be many people’s go to option, wine wise. One supermarket has seen sales, in 2017, increase by a staggering 58%. Staying in a cottage we bought a supply of booze with us and with it being supposedly Summer this included a few bottles of rosé (I also picked up one in Porthleven – when in Rome…). Mrs. SF is very partial to a good rosé, but is quite particular in terms of what she likes (so I have to choose wisely if I am buying – Mrs. SF has her own rosé stash in the wine room at home). Rosé wines are becoming increasingly popular and whilst there is a load of rubbish out there on the supermarket shelves (yes white/blush zindanfel I’m talking about you) the quality of stuff we can now get in the UK has really increased in the last couple of years. Whilst most people think of drinking rosé out in the garden or on holiday basking in the Mediterrean sun, it is a surprisingly versatile food wine. The light stuff (think Provence) works well with fish (great with fish and chips, as is pink fizz), shellfish, salads etc., whereas the more off dry stuff (think the Loire and Anjou – sweet works with heat as they say) and heavier stuff (New World) are a surprisingly good match for spicey food (the lack of tannins in most rosé helps with spicey food as does the often present touch of sweetness). 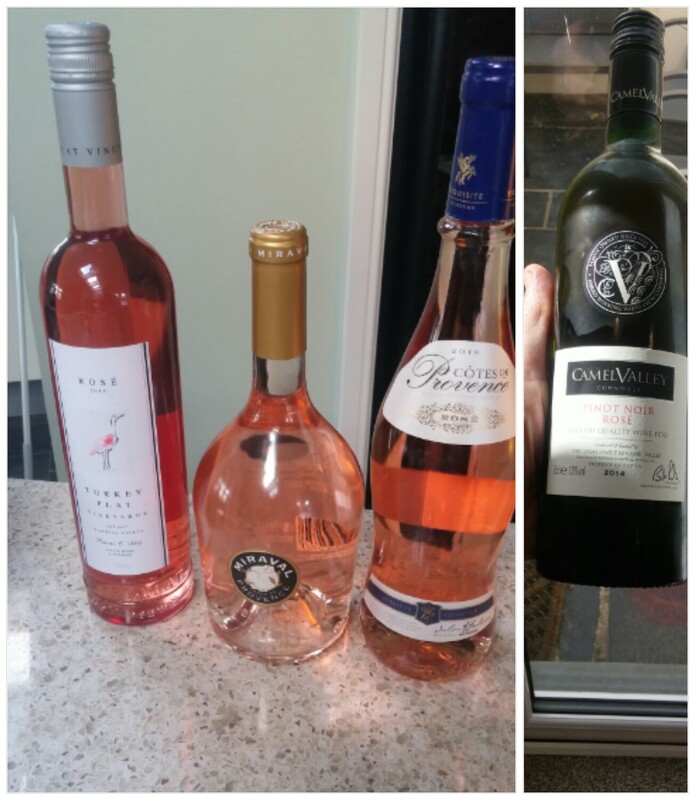 Mrs SF and I, together with my sister and brother-in-law​ tasted 3 rosés (2 Old World and 1 New World) from various price points and Mrs.SF and I tried one other one later in the week. This is what we thought. A blend of grenache, cinsault and syrah, it has on the nose pleasant aromas of stone fruits. On the palate it has a nice crisp acidity to it, with light summer fruits (think strawberries) and just a hint of spice as a back note. It is a quality, very gluggable, quaffer that really is a bargain for its £5.99 price tag. Great on its own or with summer salads, shellfish or fish. 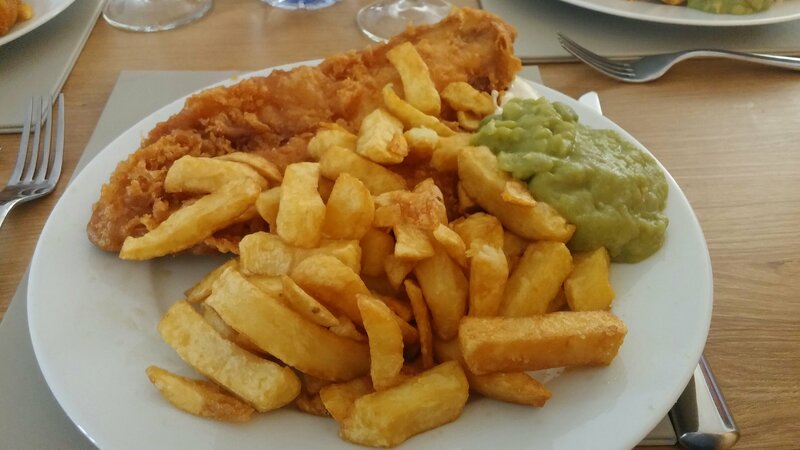 It worked a treat with a plate of fish and chips. 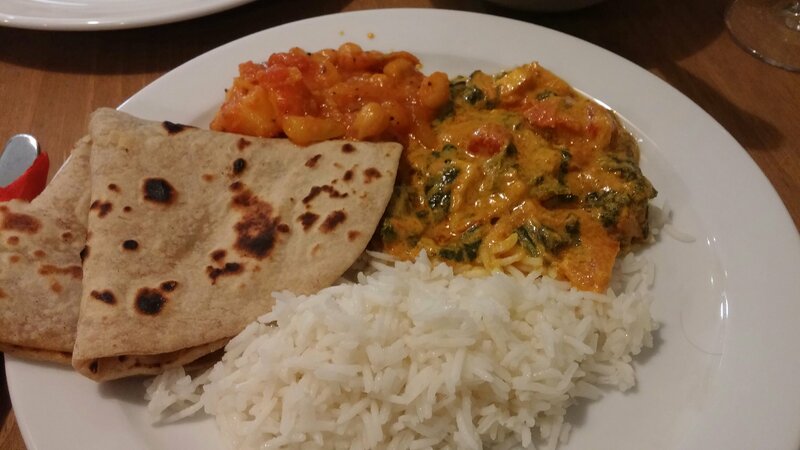 It even stands up admirably well to spicey (not incendiarily hot) food. We took it as a BYO to a Mexican place in Cardiff, Mi Tierra. Due to this wine winning a silver medal at the International Wine Challenge recently, with a huge slew of publicity about that and how cheap it is, it is flying off Aldi’s shelves at the moment. Mrs. SF wisely (prior to the recent publicity) bought a job lot. If you are a fan of rosé wines and see this on the shelves in your local Aldi, my advice is stock up and pray the Sun comes out again this Summer. 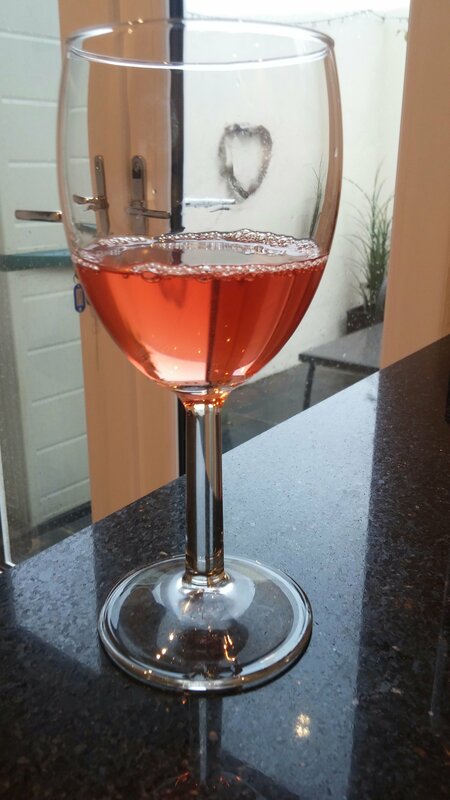 A much more weighty rosé than the Aldi number and Mrs. SF’s and my sister’s least favourite of the three. I on the other hand quite liked it. 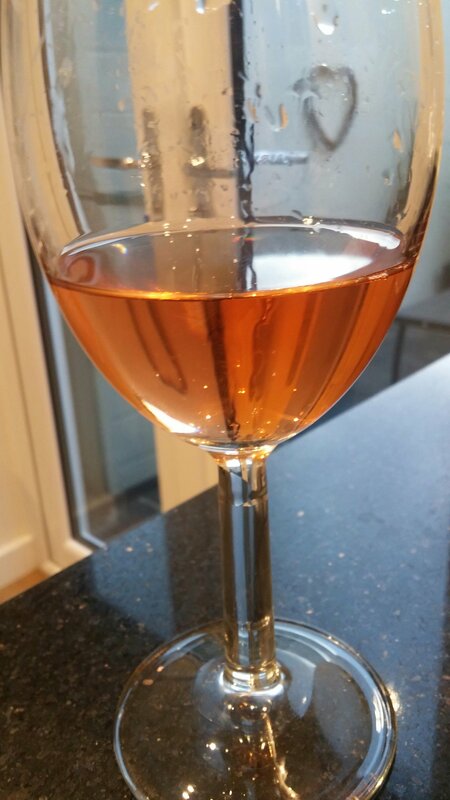 It is a much darker colour than the Aldi rosé, wild salmon pink (rather than the lighter farm salmon pink of the Aldi number) and to me it is verging on a light red. A blend of Grenache (81%), shiraz (10%), Cabernet Sauvignon (6%) and Dolcetto (3%), it has a much more intense aromas than the Aldi number (despite both having Grenache as the predominate grape in the blend). On the nose it was red cherries and I also got ripe watermelon. On the palate, it is predominately small ripe red fruits (redcurrants and strawberries), with a touch of spice. There is also a hint of sweetness in there, but the finish is dry and it has a very refreshing, crisp, acidity to it. I think this wine operates best with food as opposed to as a back garden quaffer. Would be good as a BBQ rosé. 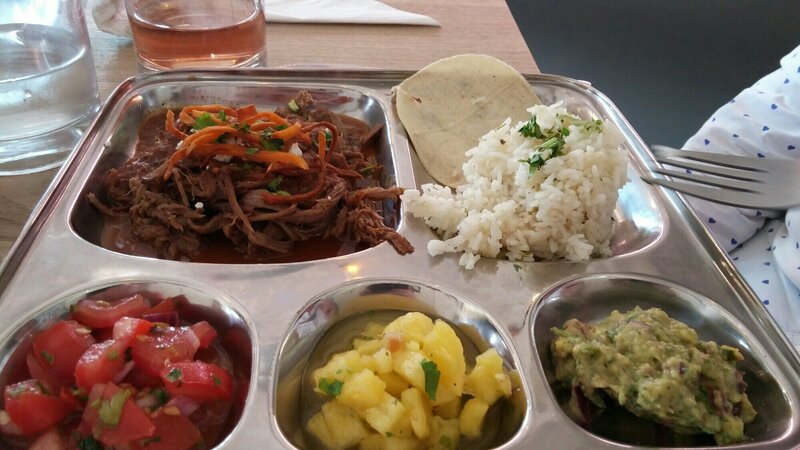 or the next #Home Supper Club on the 17th June – perhaps. It would have been remiss of me, so close to English Wine Week ( 24th May – 4th June), not to include an English wine and, being on hols. in Cornwall, Camel Valley was the obvious choice. 100% Pinot Noir, it is darker than the two Provençal numbers, but still a tad lighter than the Aussie wine. On the nose it is all summer fruits, with macerated raspberries and strawberries. 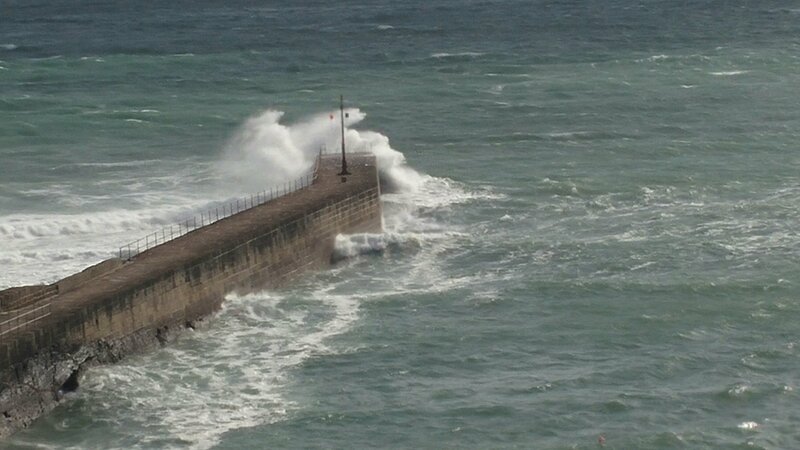 There is also a herbeceousness in the background and just a touch of the sea (ozone). On the palate there is an ever so slight spritz and, as with the nose, strawberries and raspberries. Dry, with a refreshing level of acidity. Nice wine that I would have with food (fish, shellfish or light salads). It worked a treat with a crab sandwich. This is a wine I wanted to hate due to its association with Hollywood ‘A’ listers, Angelina Jolie and Brad Pitt. When Brangalina were together they bought the Château Miraval vineyard for a reported €40 million in 2008 and very wisely enrolled (in 2012) the Perrin family (of Château Beaucastel fame) to produce wine from it. 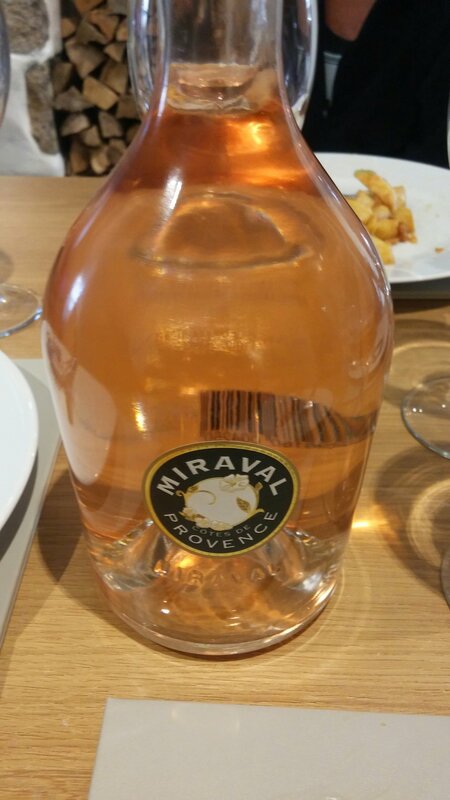 The outcome was Miraval rosé wine, with the first vintage (a 6,000 bottle run) selling out within 5 hours of its release. In its short life this wine has been relatively well received by an initially skeptical wine world, but with Brad and Angelina having parted ways (I am open to offers Angelina – particularly if you bring the vineyard 😀) the future of this wine remains uncertain (Brad it seems took more interest in the making of the wine than Angelina so he may take it forward). .
Made from a blend of Cinsault, Grenache, Syrah and Rolle (the later otherwise know as Vermentino), it is the lightest in colour of the three wines (I would call it ” Hello Kitty” pink – I know this as my friend Rachel is a Hello Kitty obsessive, rather than being a fan myself). On the nose it had very delicate aromas of strawberries, a dash of rose petal and a quite seductive candy sweetness. On the palate, it has a lovely crisp dryness, with strawberries (and an almost creaminess to it) to the fore and a touch of salinity and floral notes. Very delicate and rather lovely. Despite my misgivings as to the celeb connection, this is a serious wine. It would be lovely with sashimi and, linking back to the Provence region, a niçoise salad. Somewhat begrudgingly, I have to say this is one of the best rosé I have tasted in many a year. I enjoyed all four of these wine (would have even more so if had been able to drink them in the sunshine). 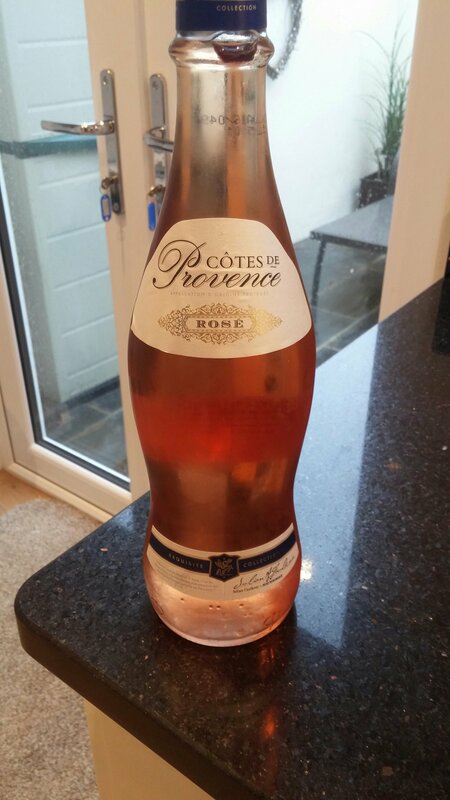 The Aldi number is superb value for money and is great as a house rosé for quaffing in the garden. The Turkey Flats number divided us, with my sister and Mrs. SF not keen whereas my brother-in-law and I were much more positive about it. It is more a light red to me and benefits from being drunk with food. 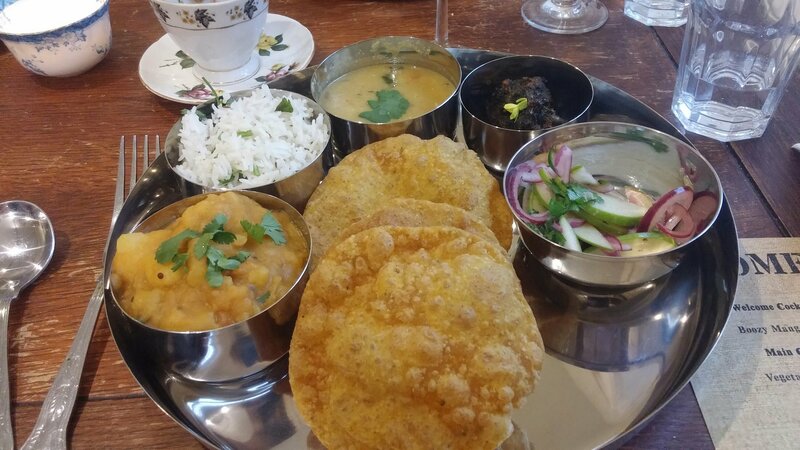 Looking for a rosé wine to drink with classy Indian food – this wine would be a very good option in my opinion. 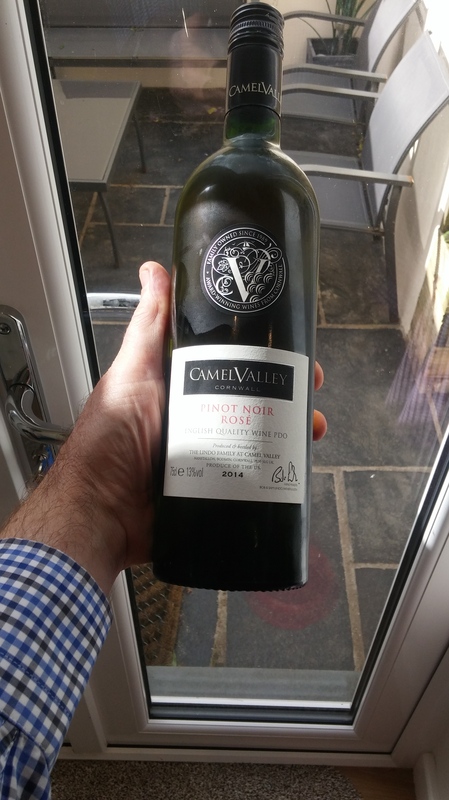 The Camel Valley Pinot Noir number showed well and is an example of the advances made by English wines recently (not just about the fizz any more). A very pleasant wine, which comes into its own with food. To me, even taking into account it being the most expensive, the Miraval was my favourite of the 4. Top quality wine, which really shows how good rosés can be. Looking for something special for a rosé lover, then look no further. Would I buy again? Yes, all four are great wines and put to bed the somewhat dubious reputation that rosé wines have for not being serious wines. 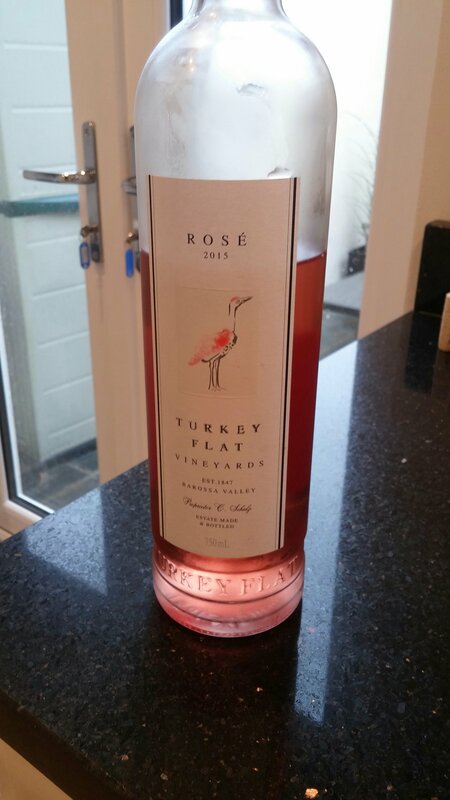 If you are looking for a rosé this summer, spend a bit more (not that much more if go for the Aldi number) and buy this stuff rather than wasting your money on the truly ghastly Blossom Hill and its ilk is my advice. 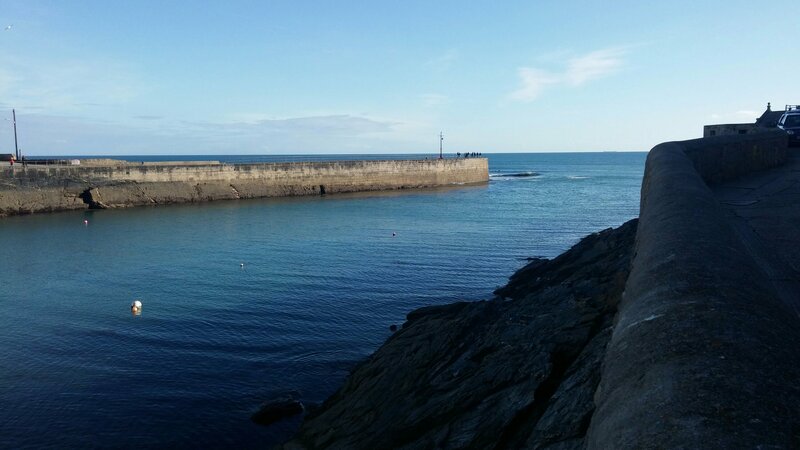 This entry was posted on Jun 11, 2017 by solicitingflavours in Aldi, Australia, Australian wine, Barbecue, BBQ, BYO, Cornwall, Costco, Drink, English Wine, Fish & chips, Food, Food and wine products, France, French wine, Gujarati food, M&S, Mangla's Spice of life, Marks and Spencer, Masterchef, Mi Tierra, Pinot Noir, Provence, Rosé, Staycation, Uncategorized, Waitrose, wine pairing, wine pairings.